Probiotics are a term that you will likely have heard plenty about in recent years, but what exactly are they? To put it simply, probiotics are good forms of bacteria, and are similar to the good strains of bacteria already present in the body. While probiotics are normally spoken about in reference to foods and healing the gut, many skin care companies are now including probiotics in their topical products, enabling your skin to directly benefit from them. As mentioned above, probiotics are good strains of bacteria that are usually eaten, so how can this be applied to the skin? Some live probiotics, such as kefir or yoghurt, can actually be applied directly to the skin, although effects can be minimal because most of the particles will be too large to enter into the pores. However, when it comes to creating commercial skin care products with probiotics, using live probiotics is not possible. Because skin care products need to be bottled, transported, and used for at least a few months. If live fermented ingredients were used, this would mean that the final product would be quite unstable, since live fermented ingredients vary greatly. In order to create a stable product, specific strains of probiotics are recreated in a laboratory, meaning that the molecules created are replicas of live bacteria. Products that contain probiotics are definitely not all equal, and one reason for this is due to the fact that there are so many different strains of beneficial bacteria out there. Each one of these strains will do a number of different things for your skin. One example of this is Nitrosomonas eutropha, which is an ammonia-oxidizing bacteria that tends to be found in dirt and puddles. Throughout history, this strain of bacteria was commonly found on human skin, until it became commonplace to scrub the skin clean each and every day. Propionibacterium is another effective strain, especially when used in areas that contain a high concentration of oil glands, while the Staphylococci and Corynebeacterium strains are great for soothing the skin in moister areas, such as behind the knees and under the arms. By using a product that contains different strains of bacteria, you will be able to help rebalance your skin back to the way that it should be. How Does the Skin Get Out of Balance in the First Place? Your skin is home to more than a trillion different organisms at any point in time, and these include thousands of different strains of bacteria, as well as some fungi and viruses. Each one of these has an important role to play when it comes to keeping the skin and body healthy, but, once this fine balance is altered, problems begin to appear. This means that a disruption to your skin’s natural balance is pretty much inevitable, making topical probiotics something that everybody should be using. It has already been mentioned that probiotics helps to rebalance the skin to a healthier state, but what are some of its specific benefits? To begin with, probiotics have been shown to be extremely effective in combating acne. Your skin already contains resident good bacteria, but when this is compromised for whatever reason, it does not take long for your existing bacteria to turn into a pathogen, which shows itself as acne. When breakouts occur, this means that there is too much Propionibacterium acnes, a bacteria strain also known as P.acnes, on the skin. However, there is another strain of bacteria, called Staphylococcus epidermis, which produces a substance that kills P. acnes, meaning that applying this strain of bacteria topically could quickly clear away a breakout. Another strain of bacteria, called lactobacillus, which is usually found in yoghurt, was also proven to be effective at treating acne, so long as the solution used contained a 5% concentration of the strain. Many studies have suggested that topical probiotics may be suitable alternatives to topical antibiotics when it comes to treating acne. Even more exciting is the fact that researchers now believe that they have identified a beneficial bacteria strain that could protect the skin from breakouts, preventing them from even occurring in the first place. With so many people spending years being severely affected by acne, and constantly trying to battle against it, this is something that will be such good news to many. Many probiotics can also have an anti-inflammatory effect, meaning that it can soothe the redness that is caused by rosacea. While the exact cause of rosacea is unknown, the redness that is experienced is due to skin cells inflaming in reaction to something. By introducing good bacteria into your skin, this prevents your skin cells from over-reacting, helping to keep everything calm. Being an anti-inflammatory, probiotics would also be able to help in slowing down the aging process. This is because chronic inflammation is actually one of the main causes of aging. When it comes to eczema, probiotics could likely help with this too. Well, those who suffer from eczema also have a weakened skin barrier. Probiotics are able to improve this barrier and strengthen it, therefore helping the skin to retain moisture and preventing dryness. A study was carried out with a probiotic cream, which contained the strain Streptococcus thermophiles, and this was shown to have an effect after just two weeks of use. This means that probiotics could also really benefit those who have dry or sensitive skin, as these skin types also suffer from a damaged barrier. If so, probiotics could really boost your existing skin care regimen. Pollution can really throw your skin biome out of balance, while the free radicals caused by pollution do so much of their own damage. Probiotics will not only rebalance your skin, but will also strengthen your skin’s natural defense, allowing it to fight against free radicals much more successfully. Which Skin Types are Probiotics Best Suited To? Unlike the majority of other skin care ingredients out there, probiotics can be used on all skin types, even sensitive skin. One of the benefits of probiotics is the way in which they help to rebuild and strengthen your skin’s natural protective barrier, which is something that every skin type, especially sensitive skin, would benefit from. While probiotics themselves can be used by all skin types, the products that contain them will also be formulated with other ingredients. This means that the same rules apply when searching for new skin care products, in that you need to seek out ingredients that are suited to your skin type. You should also pay close attention to the other active ingredients used in products formulated with probiotics. Hyaluronic acid is always a good one to have, as this will work alongside the probiotics in boosting your skin’s natural protective barrier. Antioxidants will help the probiotics in fighting free radicals, while lactic acid will gently exfoliate your skin, enabling the probiotics to sink even deeper into your cells. However, make sure that the probiotics are still your number one priority, as there is no other ingredient out there that will take care of your skin’s biome in the same way. All other ingredient focus on the skin cells themselves. Your skin’s biome refers to all of the organisms present on your skin, and this is something that you need to nurture and protect, rather than constantly scrub clean. To begin with, if you are someone who refrains from spending time outdoors, this is one area of your life that you could change. 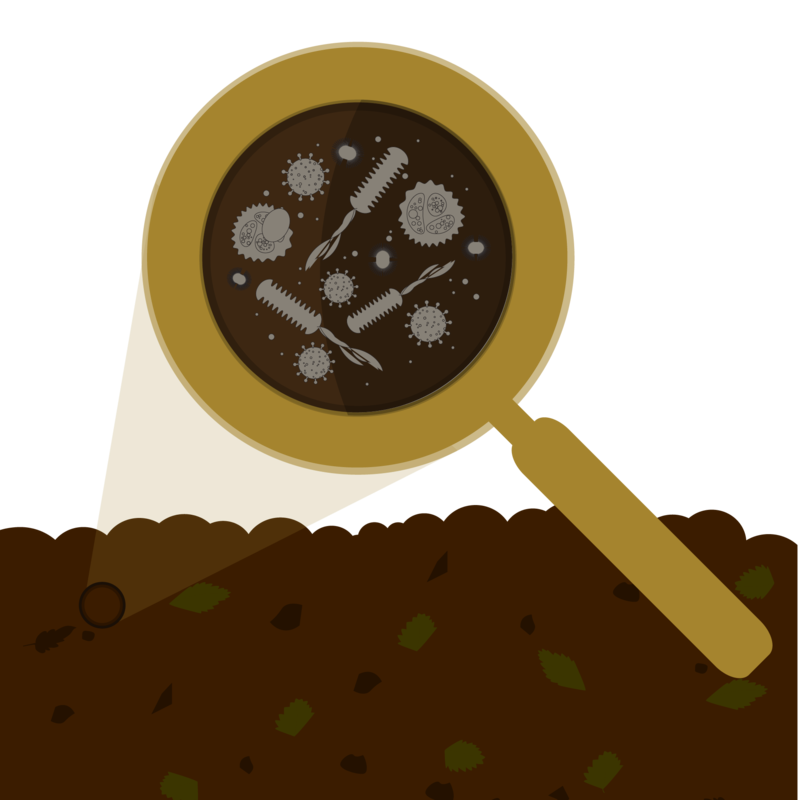 Throughout history, humans have spent so much time in contact with the outdoor world, and therefore in contact with soil-based organisms. These are natural probiotics that are found on the skin, as well as in the gut. However, these days, most people tend to be deficient in soil-based organisms. When it comes to antibacterial soap, this is something that you should try to avoid, unless you suffer from a condition that requires it. These products will severely disrupt your skin biome, and, with so many natural alternatives available, there is just no reason to use them. One other interesting way in which you could protect your skin biome is by sweating. 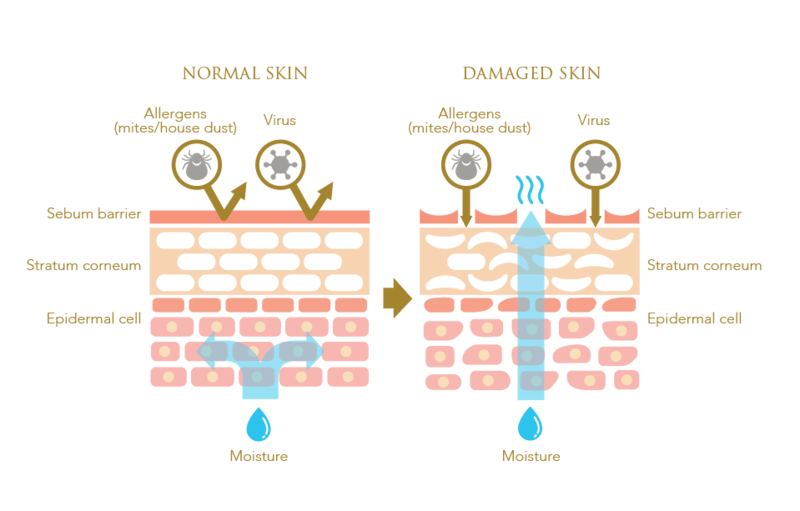 This is true in a way, because while sweat that lingers on the skin, and therefore settles into pores, is not good, sweat in itself acts as a prebiotic, which you will learn more about below. Plus, in order to sweat, you will likely need to do some exercise, which will benefit your skin, and your body, in many other ways. You can also support your skin biome from within, by consuming probiotics, in addition to applying them topically. Although prebiotics are quite different from probiotics, these are also effective at helping to rebalance the skin. Wondering what the difference between the two is? While probiotics refers to strains of good bacteria, prebiotics are basically the food that feeds the probiotics, allowing them to really thrive. Because your skin already naturally contains good bacteria, and even if this may be out of balance, the prebiotics that you apply will still help your existing good bacteria to really flourish. However, using the two in conjunction will really bring about the best results, as the prebiotics will support the probiotics that you use, maximizing their effects. 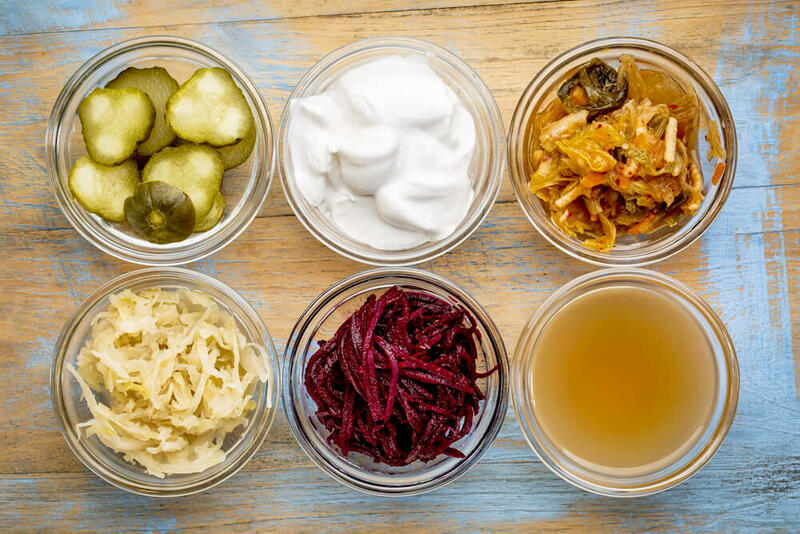 Are Probiotics and Prebiotics Just Another Trend? But there’s substantive research that showcases the many benefits of probiotics and prebiotics, which means that they may very well be here to stay. One of these is personalized probiotic skin care. Clinical trials on this are currently underway, and are looking to be quite successful. By taking bacteria strains directly from the skin, and then using those to formulate personalized skin care products. This then means that the products you use will be able to target any bad bacteria, while protecting and nourishing the good bacteria, on your skin. Many brands are also looking into ways in which they can actually use live bacteria in their products, which would make them even more effective than they already are. While they do have many obstacles to overcome in terms of product stability, the many benefits that live bacteria would bring to the skin make this an area worth exploring further. The future of probiotics in skin care is going to continue to quickly evolve in the next few years, and it will be interesting to track the results of this.